PoE NVR (Power over Ethernet enabled Network Video Recorders) use PoE to simplify cabling and installation of the wired surveillance cameras. All major manufacturers like Amcrest and Reolink have a number of models that have PoE ports but selecting the best PoE NVR System for your needs might be intimidating. 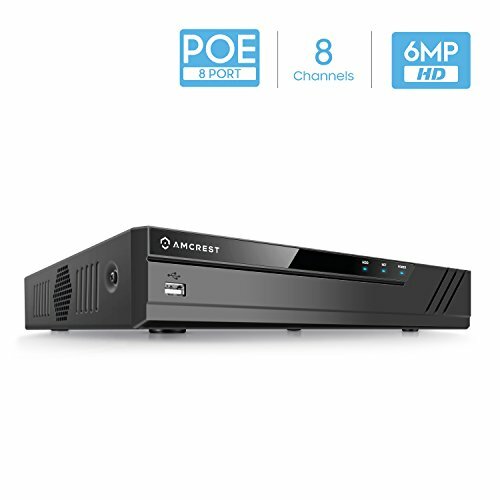 After careful selection and review of a number of models, our top pick for the best PoE security system is Amcrest NV2108E 8-Channel PoE NVR , which is a well-priced product with the outstanding build quality and rich functionality. 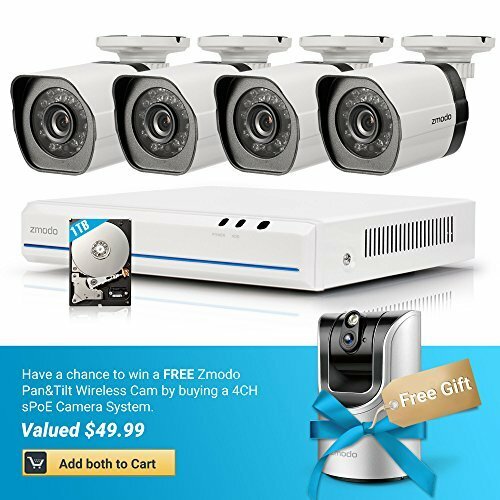 If you want your money to buy you more, you can go for Zmodo 4 Channel sPoE Security Camera System , but this cheap PoE NVR has a number of trade-offs, with the main being sPoE perpetuity protocol. 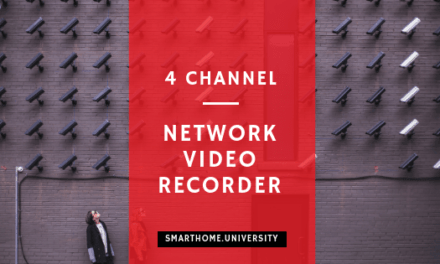 For high-end model, GW Security 16 Channel 4K NVR HDMI H.265 PoE Security Network Video Recorder is the best choice and not only gives you better motion control and external alarm inputs, but also an overall better UI experience. In-depth review of best PoE NVR systems below. Based on multiple client installations and feedback from active users, the choice when selecting NVR for the general public is usually between two brands – Reolink and Amcrest. The main contenders for the best PoE Network Recording System were Amcrest NV2108E 8-Channel POE NVR and similarly well placed Reolink NVR 8 Channel PoE System . When compared in details, we decided to give preference to Amcrest device due to a better base price, ability to connect cameras up to 6MP (only 4MP for Reolink) and intelligent NVR software functions available (like smart playback). Interestingly the feedback is better for the Reolink model, but reading the details the negative points are mainly related to customer service and documentation. Both of those were significantly improved in the last couple of year. As the majority of the video recorders in that price range, NV2108E supports cameras up to 6 megapixels with a 1080p resolution to boot. You can connect HDD of storage space up to 6TB allowing for 24/7 continuous recording for a long time. The system lets you connect and view 8 cameras simultaneously, and the playback can be viewed at 30fps. All in all, the system is riddled with cool features and comes at the best price too. Plug your POE camera into one of the camera RJ-45 ports. With this, you will be able to start the system. Follow the instructions on-screen which involve creating an account, setting passwords, configuring camera, etc then you can start your system. SPoE is not an effective replacement for PoE. They use proprietary wiring and aren’t compatible with PoE standard cameras. Not for advanced users or for securing business perimeters. It just contains basic functionalities. Zmodo has been making video products for around 10 years now and they consistently deliver products at the impressively low prices. The company has a number of NVRs in their model line with sPoE and we recommending Zmodo 4 Channel sPoE Security Camera System as a cheap alternative to other NVRs. Zmodo NVR would cost you a bit lower than Amcrest or Reolink models, but would also include security cameras. As always this come at a price, as the company is using a propetruity PoE standard called sPoE which is only compatible with Zmodo model. NVR shows the camera feeds at 720p playback with no faults. You can check live video feed of any part of your home with Zmodo. The system supports up to1TB hard drive that allows storing your recording for more than 50 days. The system comes with a web and mobile app in addition that helps you view the live videos wherever you go. Before you begin: The NVR may not have a username and password when you first configure your NVR. Once you have completed the initial setup, it is highly 7 recommended that you set up a strong password before you continue using your NVR. 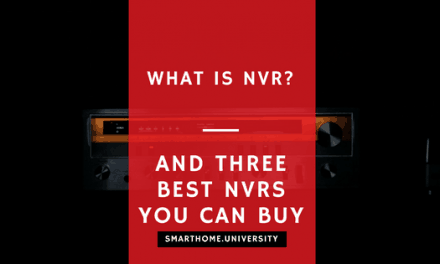 Set up your NVR and connect all components. Connect a USB mouse, plug in and/or configure your cameras, and power on your NVR using the included power adapter. Connect your NVR to a monitor display. Depending on your model, you will need to use either an HDMI or VGA cable (not included) to connect your NVR to an external display. Power on your monitor and complete the startup guide to begin. 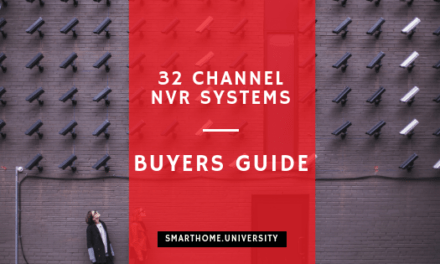 The startup guide will assist you in configuring your NVR for initial use. Sensitivity settings set for the day might not be compatible for the night when it comes to motion detection features. GW PoE NVR system is a high-end item with premium features and 16 channel support for the best security option. It is definitely the best choice if you’re willing to spend some cash. The security system support 4K resolution and 30fps frame rates giving you much more detail and vision on the events happening around your perimeter. 4TB HDD support also helps maintain the video feed for more than a whole day. GW is the best choice for the strongest security. Supports cameras of 5MP/4MP/3MP quality. 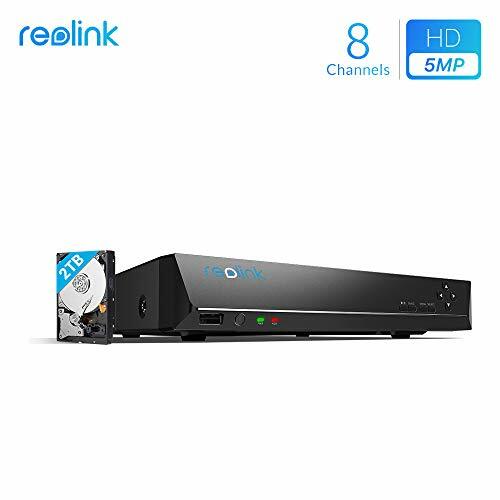 For another very good PoE Network Video Recorder we are recommending looking at Reolink PoE NVR 8 Channel NVR PoE System . This would be a great choice if you are not satisfied with Amcrest NVR. One noticable advantage of Reolink is slightly better value, as this PoE enabled NVR system already included 2TB hard disk in the box. The device offers a standard for the price range feature. The playback resolution goes up to 1080p with a storage capacity up to 4TB that allows for 24/7 recording. You can connect and manage up to 8 PoE 4MP cameras simultaneously. Create your account by giving your email and setting a password and then you can start using your cameras for surveillance. The system comes with a USB mouse for you to control the settings. You can find many settings option on the software like motion detection, upload via FTP, time sync etc.